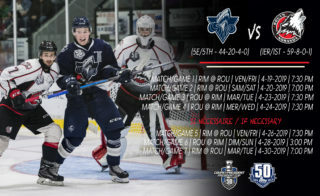 It’s on the outdoor rink of St-Tite’s Grandes Estrades that the Rimouski Oceanic kicked off the 2019 QMJHL Winter Classic with a 4-0 win over the Shawinigan Cataractes on Friday night. 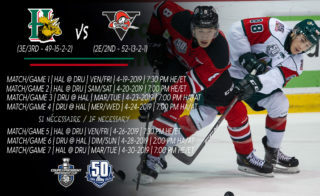 Alexis Lafrenière once again offered an incredible performance by leading the Oceanic with two goals and two assists while his goaltender, Colten Ellis, pushed aside all 19 shots he faced to get his third shutout of the season. 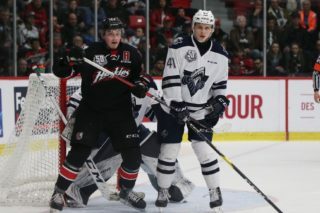 Lafrenière’s linemates also had major contributions in the Rimouski win. Olivier Garneau had a one-goal and three-point outing, while Jimmy Huntington went for one goal and one assist of his own. Lafrenière scored the opening period’s only goal by surprising Cataractes goaltender Antoine Coulombe with a perfectly placed shot from the top of the circle to net his 31st tally of the season. The Oceanic kept rolling by finding the back of the net twice in the opening minutes of the second frame. Garneau first scored the insurance goal with 99 seconds off the period’s clock, while Huntington scored his goal just 33 seconds later. The goals were their 31st and 32nd of the season, respectively. 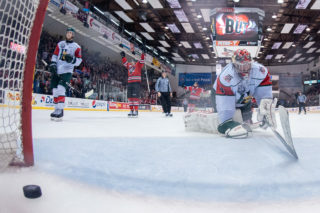 Lafrenière’s second marker of the game made it 4-0 for the away team after he found himself all alone in front of Coulombe before deking and sliding his backhand in the net. Despite the game’s outcome, it was the Cataractes who outshot the Oceanic by a 19-16 advantage. 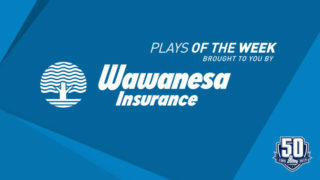 Shawinigan was unable to capitalize on its three power play opportunities in the game, but showed great discipline by taking no penalties of their own. 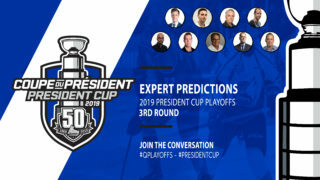 The 2019 QMJHL Winter Classic will host its final game on Saturday afternoon as the Cataractes face off against the Quebec Remparts at 3 p.m. ET, once again on St-Tite’s outdoor rink. Tickets are still available for purchase by clicking here.